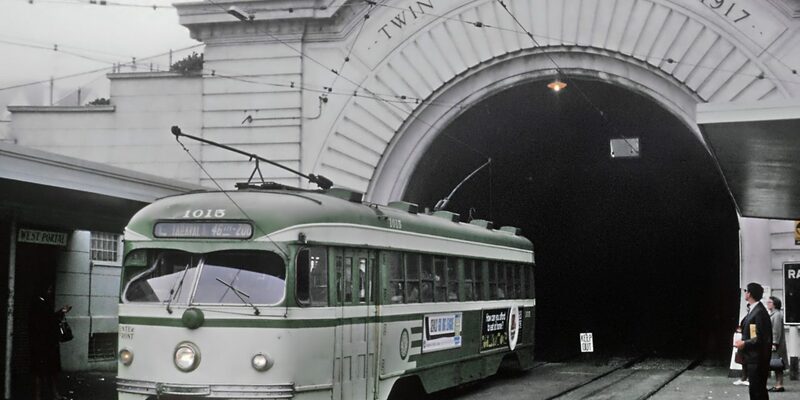 The century-old Twin Peaks tunnel, as seen in 1967. Photo from Wikimedia commons. Shimmick Construction answered “no” on Muni questionnaire regarding past “serious and willful” safety violations. But 2015 ruling casts that into question. On Friday, Patrick Ricketts was killed on his job site in the Twin Peaks tunnel, in some manner of nightmarish incident involving a steel beam. He was 51 years old, married and leaves behind two grown stepchildren. That’s tragic enough, but there’s more. Muni’s closure of the century-old tunnel for two months of long-planned upgrades has triggered a transit meltdown across the city. In order to make up for curtailed rail service, Muni has shunted buses and drivers from other lines — crippling citywide service. What’s more, it didn’t tell anyone it was doing this, even the mayor’s office. But, after weeks of commuting misery affecting hundreds of thousands of passengers, the story broke — first in the Examiner, then here on Mission Local and, this week, in the Chronicle. And now, thanks again to more diligent work from the Examiner, the safety record of Ricketts’ employer, Shimmick Construction, is coming into light. Even a cursory perusal of the Occupational Safety and Health Administration (OSHA) website reveals that Shimmick has been involved in scads of workplace violations over the past decade. And yet, on Muni’s prequalification questionnaire, Shimmick answered “no” to the query “In the past ten years, has the Potential Bidder … been cited for any serious and willful safety violations by Cal-OSHA”? While the incident in question took place during a joint venture between Shimmick and Obayashi, the mailing address attached to the ruling was Shimmick’s Oakland headquarters. This case does not appear to be listed in either Orange County’s superior court records or San Francisco’s. It is, however, described as “pending litigation” on the docket of an OSHA appeals board meeting scheduled for tomorrow in Sacramento. Multiple calls to Jamie Helmick, the Shimmick official whose name is on the Muni questionnaire, have not been returned. A call to company spokesman John Gallagher prompted the e-mailed response: “We generally can’t comment at this point, but please send along your questions.” Our question regarding whether Shimmick accurately filled out the city’s prequalification questionnaire has not been answered. We asked Muni, too, if it feels the questionnaire was filled out accurately. It has not yet gotten back to us. “The citations were affirmed and remain classified as willful,” states Frank Polizzi, an OSHA spokesman. Whether the evidently ongoing legal case regarding the violations somehow affects the veracity of Shimmick’s response on Muni’s questionnaire is not Polizzi’s department. In OSHA’s eyes, he confirms, these citations are extant, and Shimmick paid its $67,500 fine on October 5, 2015. Muni has also not yet responded to our query regarding how much — if any — due diligence it undertakes to check the veracity of the answers submitted by would-be contractors. All of the violations mentioned in this article are available online, and were easily tracked down within 10 minutes. Work at the Twin Peaks tunnel is scheduled to wrap at the end of August. The appropriation of buses and drivers during its closure led to unannounced de-facto service cuts on some of Muni’s biggest lines of up to 33 percent. Update: Supervisor Norman Yee has called for a public hearing to examine the vetting process for this and other city contractors.